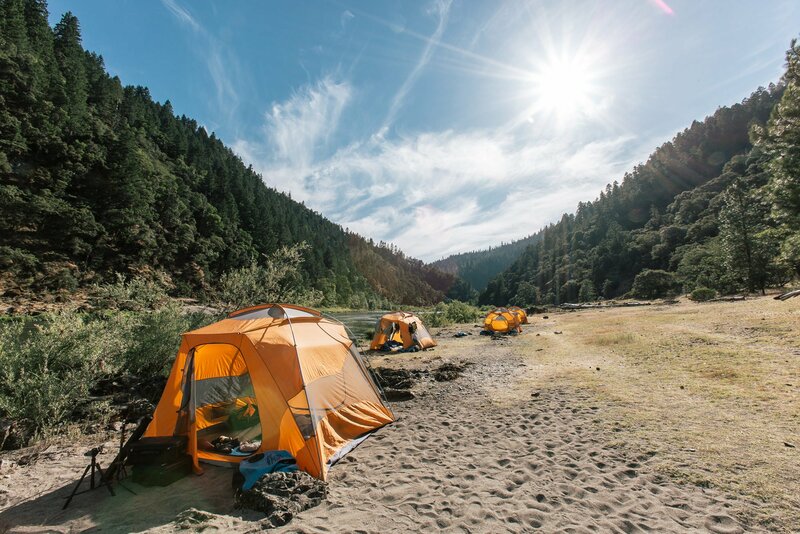 This trip offers 3 days, and 2 nights floating through 40 miles of the remote and beautiful Wild and Scenic corridor of the Rogue River. Each day consists of around 6 hours on the water, a midday break for a hearty riverside lunch, and stops at side creeks or historic points of interest. 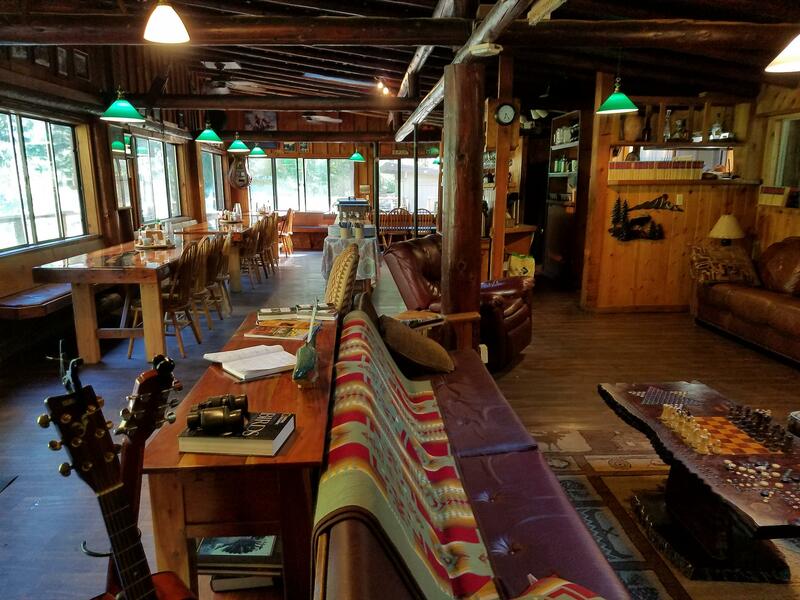 A great treat of this trip is a night’s stay in 2 different historic lodges that have remained in the canyon since the Wild & Scenic designation was determined in 1968. 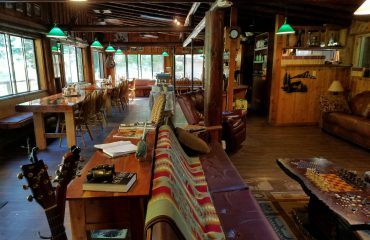 These lodges are privately owned and welcome hungry and tired rafters each evening. They are comfortable, clean, and rustic. Dinner and breakfast are prepared at the lodges and are hearty tasteful meals. All the lodges are off the grid and use generator power for evening lighting. 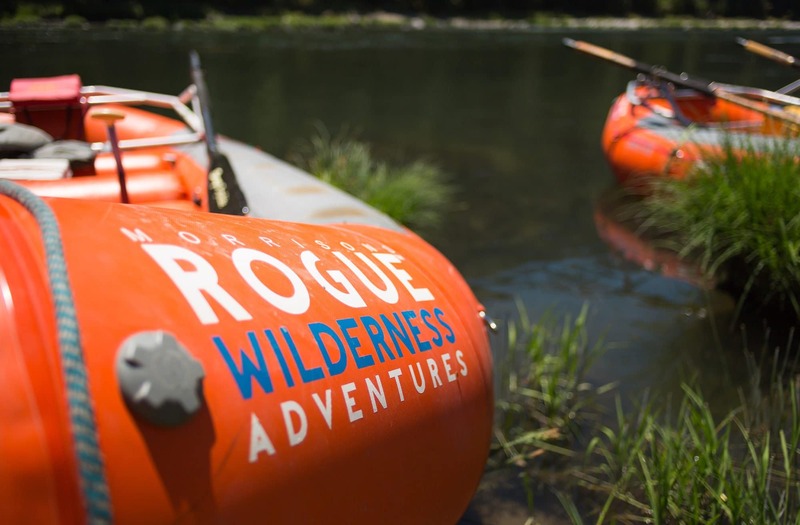 All about the 3 Day Lodge Rafting Trip. Trip start: 8:00 am at Morrisons Rogue Wilderness Lodge near Galice, Oregon. Stay in two lodges while on the trip. Black Bar Lodge first night, Marial Lodge or Paradise Lodge for the second night. Three days and two nights on the river. 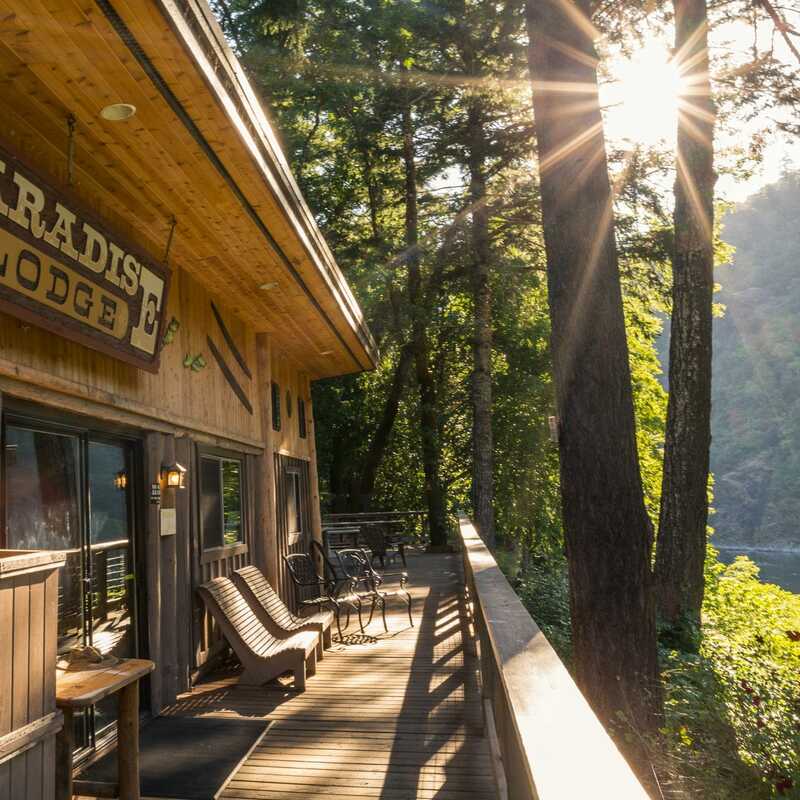 End: 4 pm-5 pm back at Morrisons Rogue River Lodge. 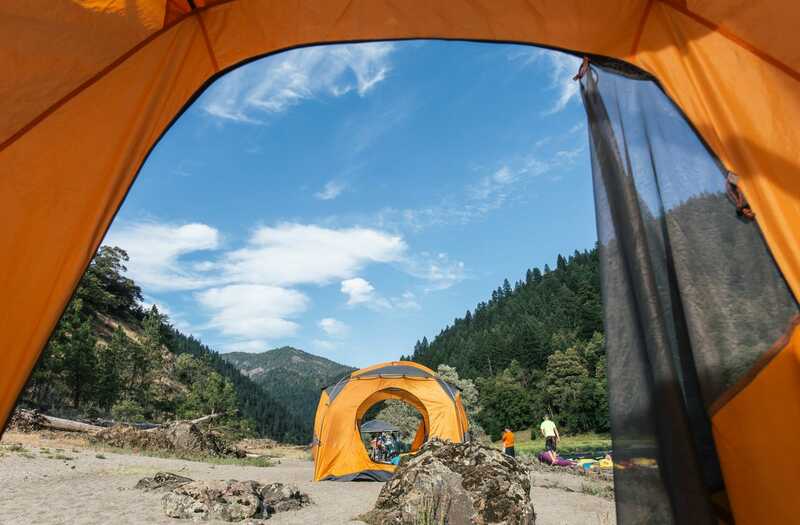 What’s Included: All meals, guides, camping gear, lodge night, rafts, transportation to and from the river. 5:45 pm – Arrive at Morrisons Rogue Wilderness Lodge for orientation and meet and greet. Your lead guide will be there to hand out dry bags for your overnight gear and answer any last minute questions you might have. Dinner and lodging are available afterward at Morrisons Lodge by reservation only. 1-800-336-1647. Please arrive at Morrisons Rogue Wilderness Lodge (8500 Galice Road, Merlin, Oregon) by 8 am and check in with our office staff. You’ll be issued a dry bag to pack your gear. Dry bags that are given out the night before at orientation should be packed and collected by the guides. You will then lock your car and put keys in key storage at Morrisons Rogue River Lodge office. 8:45 am – Board bus or walk to the river from Morrisons Lodge, depending on water level. 10 am – River day with visits to historic sites, a short hike, riverside lunch, and swimming. 4 pm – Arrive at Black Bar Lodge and get settled in personal cabins. Plenty of hot water for showers and get a chance to explore the lodge property. In most cases, Morrisons Rogue Wilderness Adventure staff will be cooking in a smaller lodge just for MRWA guests. Sometimes, guests and guides will eat in the main lodge with other guests as well. 7:00 am – Plenty of coffee. 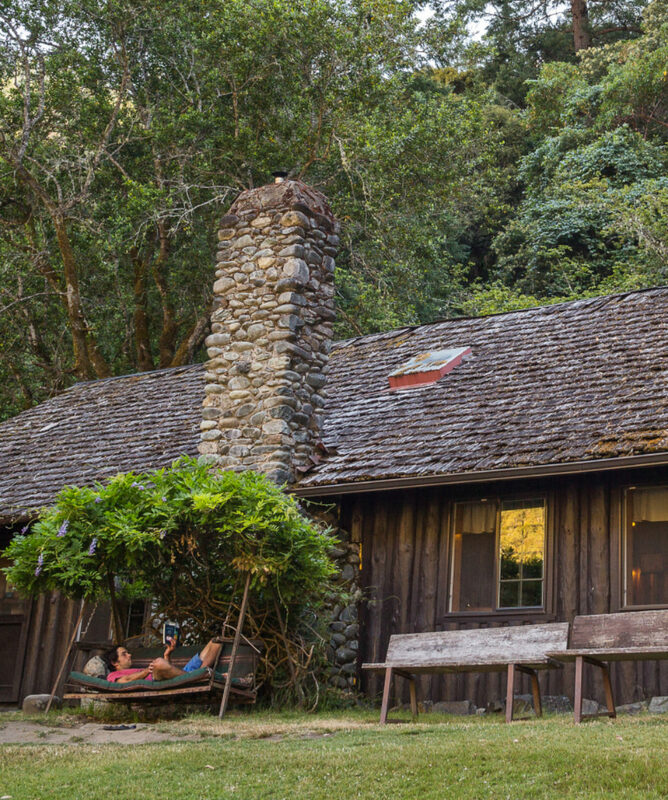 9:30 am – On the river exploring Zane Grey’s cabin, the Rogue River ranch, swimming, riverside lunch, water fight or two. 4:30 pm – Arrive at Paradise Lodge or Marial Lodge. Check-in and arrive at your rooms. At Paradise: Enjoy the afternoon at Paradise with a hike, a dip in Paradise Creek, or maybe a nap swinging in a hammock. At Marial: Enjoy a comfy living room, a short hike to inspiration point, and great home-cooked meal. Which lodge you will stay at depends on your launch date. Inquire with the front office for specifics. More whitewater rafting, from Paradise to Foster Bar take out. This is your departure day. You’ll head to the takeout at Foster Bar (near Agness, Oregon) at 2 pm. See takeout instructions below.